Employers have a responsibility to prevent illegal working in the UK by ensuring that their employees have the right to work here. This involves carrying out document checks on people before employing them in order to confirm that they have a legal right to work here, either permanently or on a temporary basis. Where the employee only has a limited entitlement to remain in the UK, follow-up checks must be carried out. An employer who fulfils the statutory requirements as regards document checks will have a legal excuse, known as a statutory excuse, and will not be liable for a civil penalty under Section 15(2) of the Immigration, Asylum and Nationality Act 2006. Where an employer is found to have failed to comply with the requirements, a civil penalty, calculated on a sliding scale depending on the level of non-compliant behaviour, will result. However, an employer who knowingly employs a person not allowed to work in the UK or who is considered to have ‘reasonable cause to believe that the employee is disqualified from employment’ because of their immigration status can face criminal prosecution under Section 21 of the Act and, if convicted, up to five years’ imprisonment and/or an unlimited fine. Following changes introduced by the Immigration (Restrictions on Employment) (Code of Practice and Miscellaneous Amendments) Order 2018, the Home Office has issued a revised ‘Code of practice on preventing illegal working: Civil penalty scheme for employers’. This sets out the factors to be considered by the Home Office when determining the amount of the civil penalty payable for different levels of breach and takes into account the introduction of the online ‘Employer Checking Service’ (see https://www.gov.uk/employee-immigration-employment-status) whereby, from 28 January 2019, employers have had the option to conduct an online right to work check, which will establish a statutory excuse against a civil penalty in the event that the employee is found to be working illegally. However, not all employees or prospective employees will have an immigration status that can be checked at this stage, in which case a manual check must be completed. Follow-up checks for those whose right to work is time limited can also be carried out online or manually. 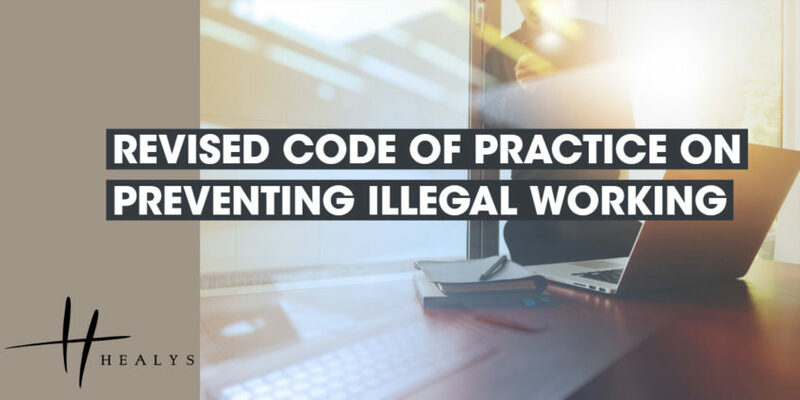 The revised code of practice can be found at https://assets.publishing.service.gov.uk/government/uploads/system/uploads/attachment_data/file/774078/Code_of_practice_on_preventing_illegal_working_-_January_2019.pdf.